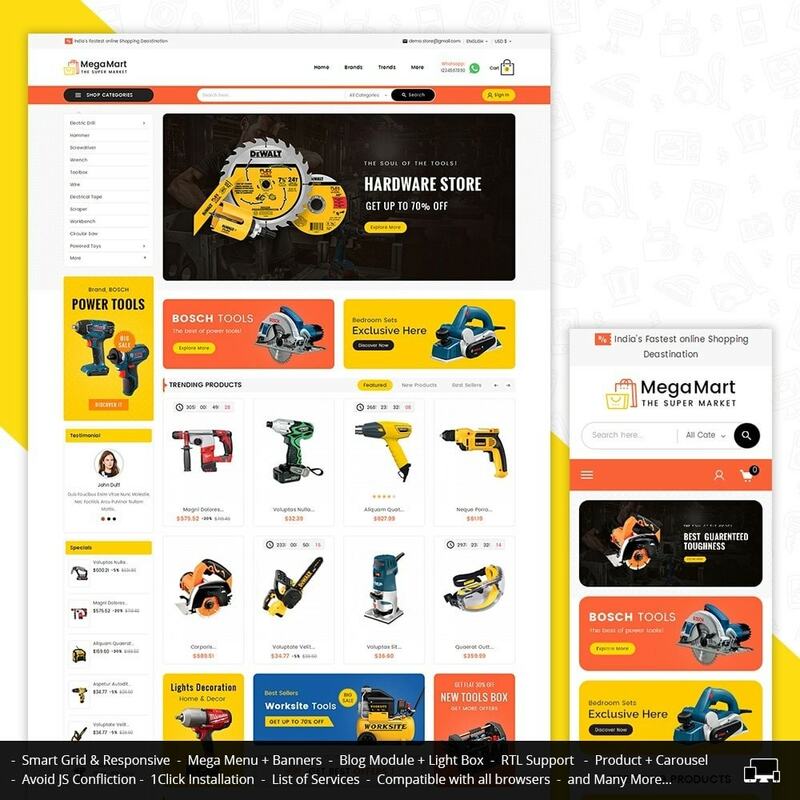 Mega Mart Tools Equipment Responsive Theme is designed for tools, electronics, mega, Auto, Vehicles, sports, games, wheels, Parts, cars, services, Automotive and multi-purpose store. 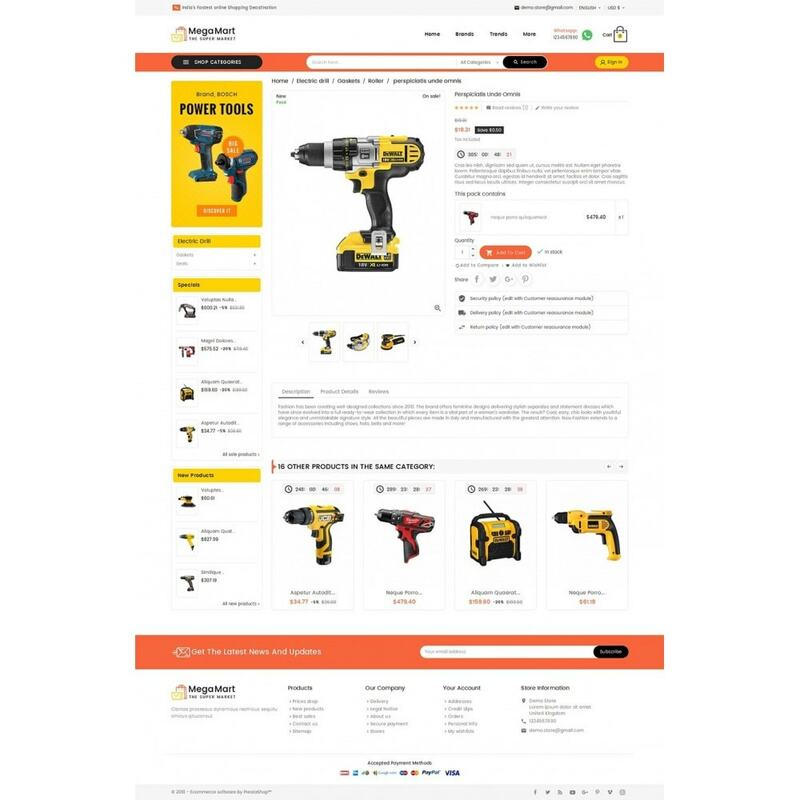 It looks great with color combinations. 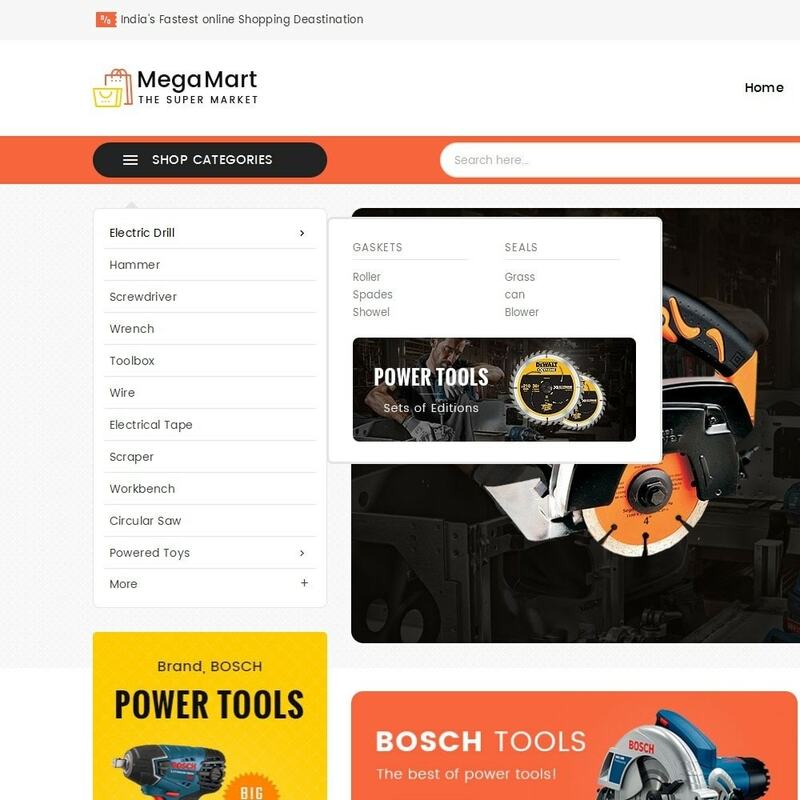 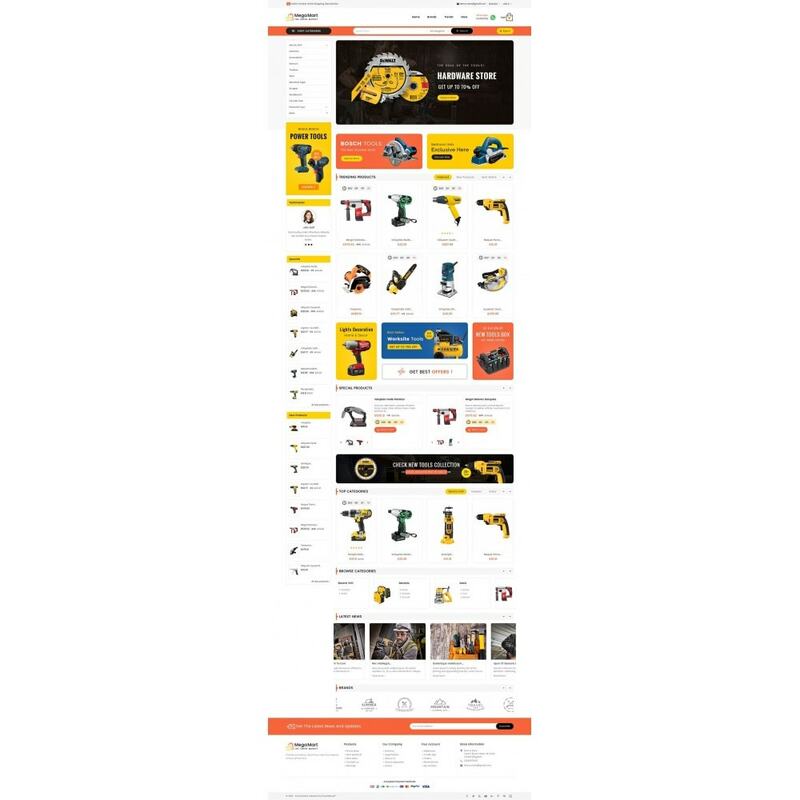 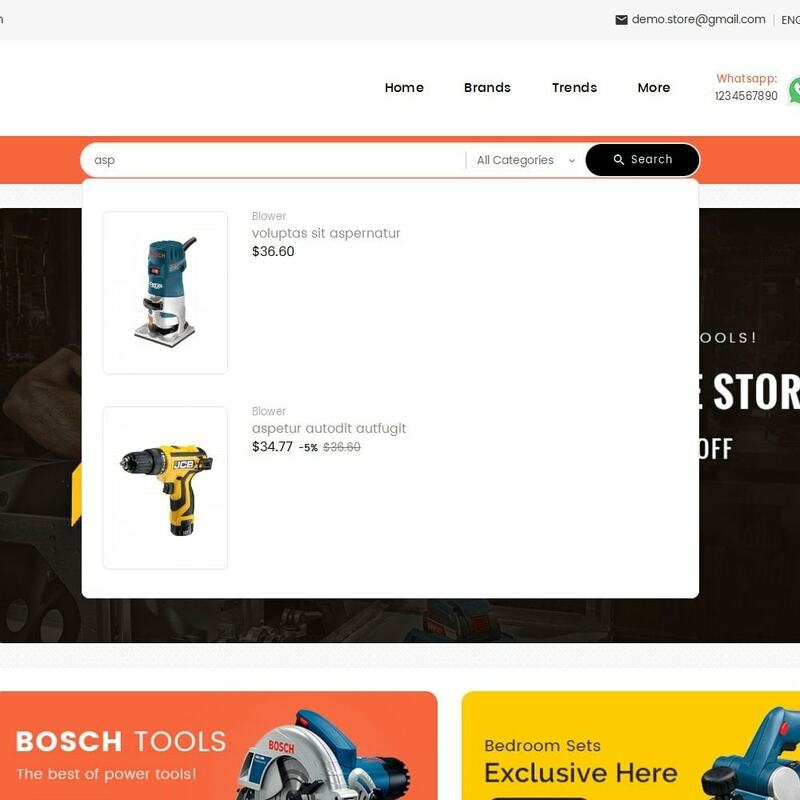 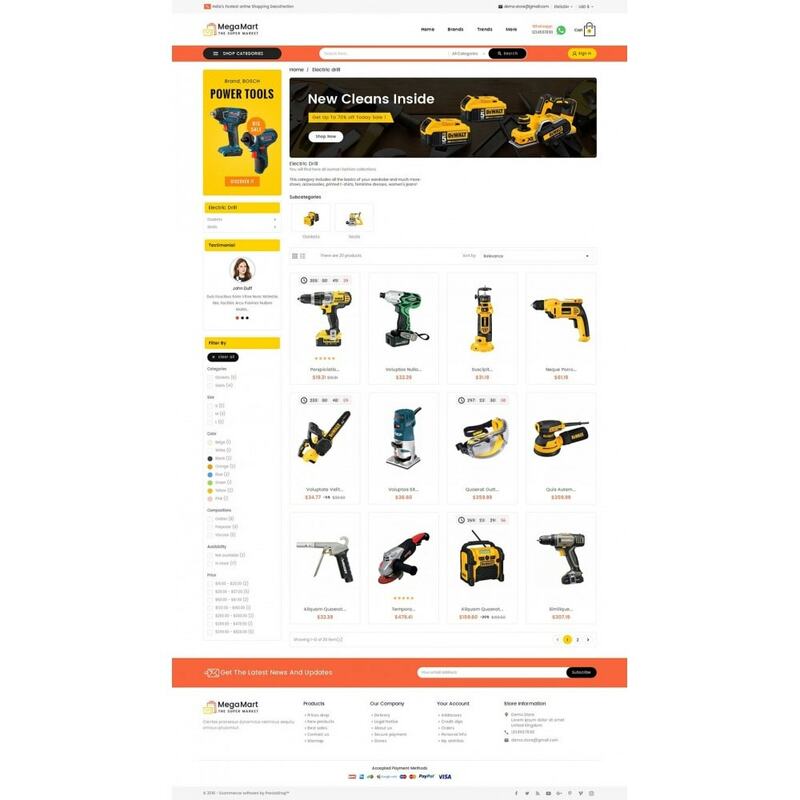 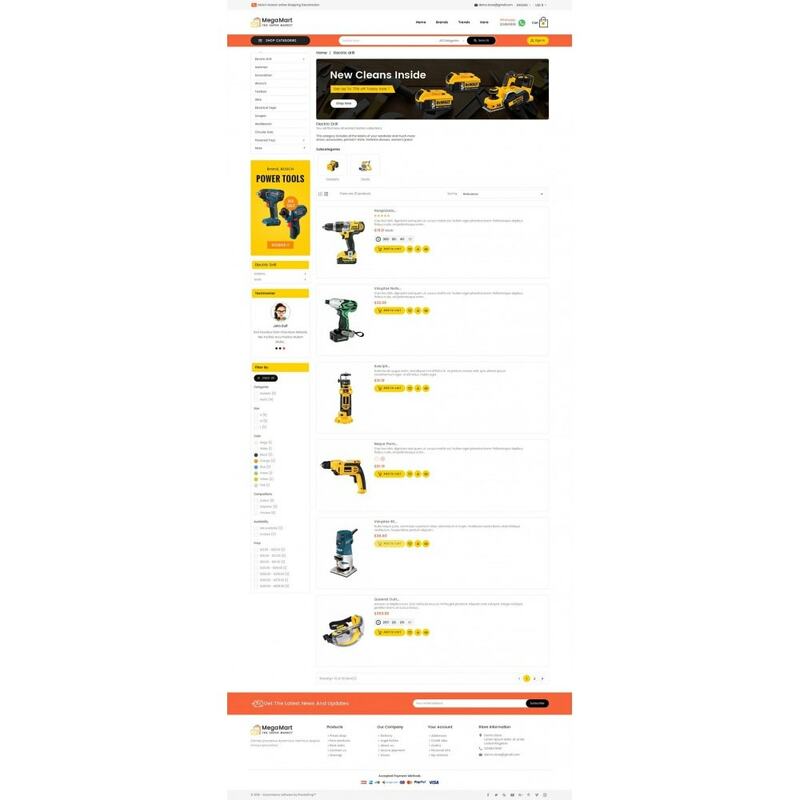 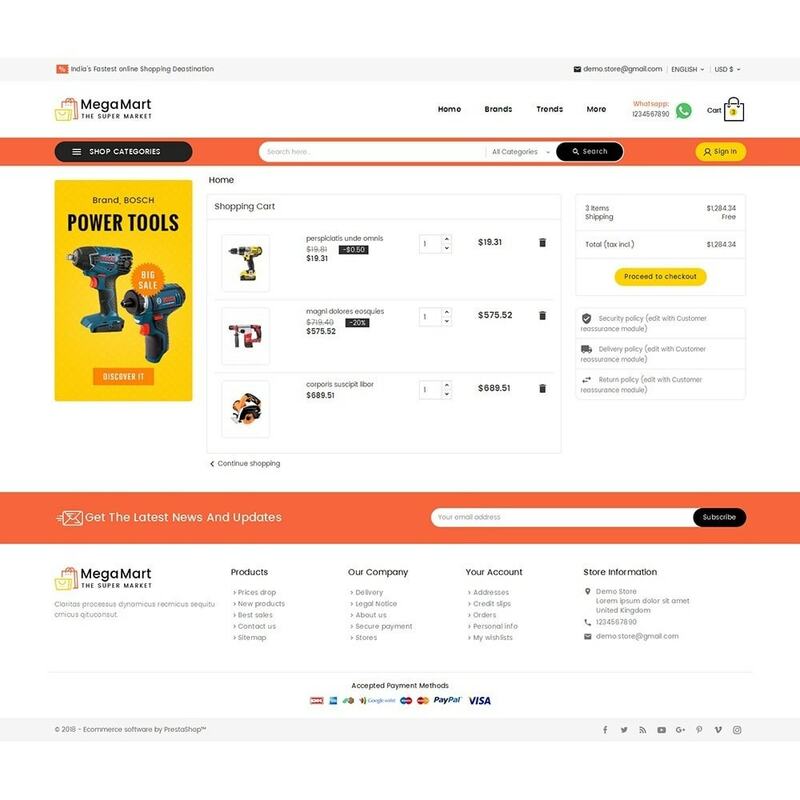 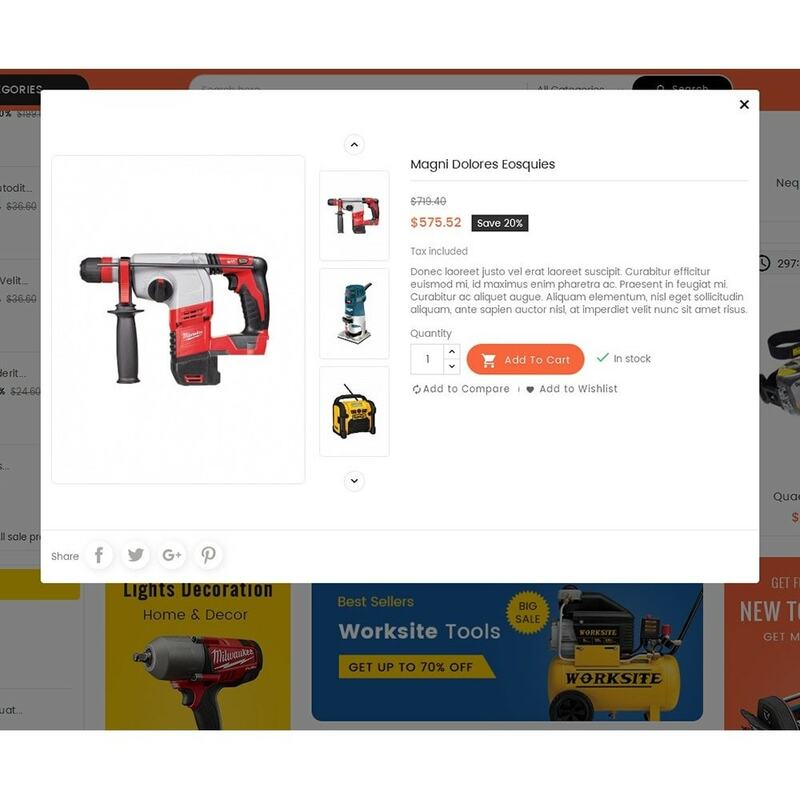 Mega Mart Tools Equipment Responsive Theme is specialized for tools, electronics, mobile, mega, Auto, Vehicles, sports, games, wheels, Parts, gym, cars, services, Automotive and multi-purpose store. 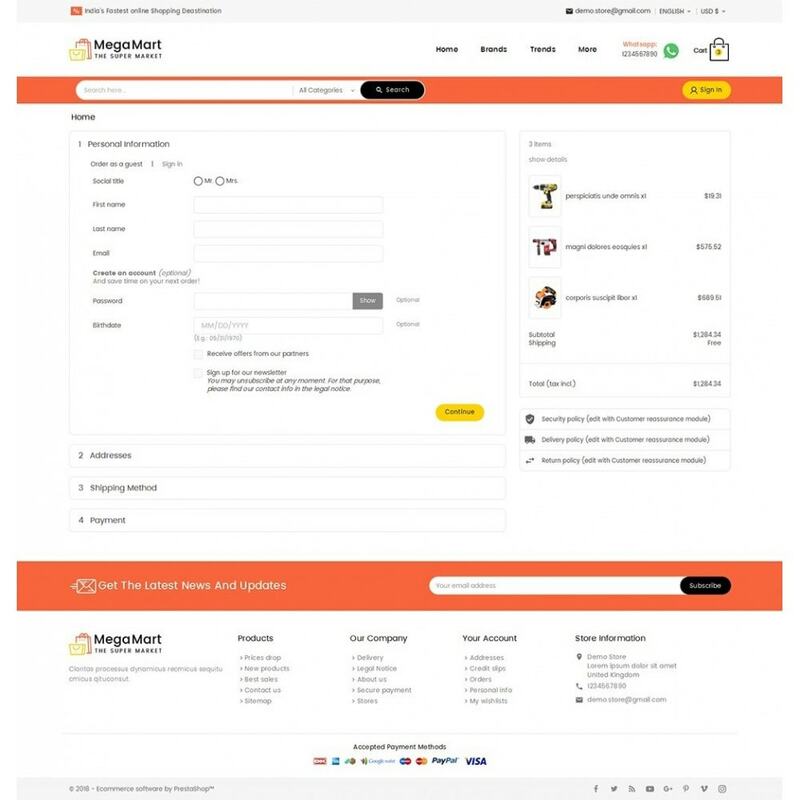 It looks great with color combinations.